If you are the proud parent to a precious new puppy, you are probably feeding him a fairly strict schedule of food that is especially formulated to help him grow. 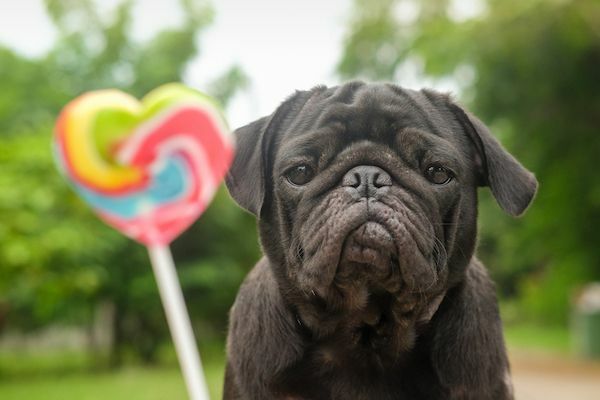 However, it is natural to want to spoil the pets that we love so much, and treats tend to form a small but significant part of our dog’s daily calorie intake. Whether you are using treats just as a way of spoiling your puppy, or as an incentive in his training, choosing which is best for your furbaby can feel a little overwhelming. You want to pick something healthy, and ideally nutritious, but at the same time delicious, so that your pup gets maximum enjoyment from their treat. To help you find the right treat for your puppy, here is our guide to some popular options. Unsurprisingly, there are a huge variety of different ready-made puppy treats created by manufacturers and these are widely available in pet stores, grocery stores and veterinary clinic across the country. One of the best things about these treats is that they are especially formulated to suit the nutritional needs of a puppy. This eliminates some of the need for you, as a busy owner, to worry yourself about the suitability of the ingredients for your growing pup. However, you will still need to check that the treat you choose doesn’t contain anything that your pup is intolerant to. It may take you a little while to find a treat that your puppy prefers. While some enjoy chewy varieties that they can really get their teeth into and that take time to eat, other dogs prefer the instant gratification of an easily-crunched biscuit or even canine chocolate drops. Please note that human chocolate is not suitable for any age of dog. Veterinary substitutes which are made from carob – a suitable and non-toxic alternative. Sliced banana. You can also cut bananas in half and freeze them in summer to make pup-sized popsicles. Remember that fruit contains a high concentration of natural sugar and this isn’t good for your puppy if given in excess. Save fruit treats for occasional use. It is also important to remember that fruit and vegetables contain an abundance of natural fiber, so again moderation is recommended otherwise your puppy could suffer from digestive issues. Many owners forget that their pup’s brain is growing and developing just as fast as his body. Keeping his mind active and maturing is just as important as feeding his physical self. Mental stimulation can help to stave off boredom and associated bad behaviors such as chewing everything in sight and help your dog to develop problem-solving skills that may be essential when he is older. There are a range of dog toys that you can purchase that also contain a compartment that you can stuff with your pup’s favorite treat. Your furbaby will remain busy and entertained while he tries to work out how to get the treat out of the toy, giving him a mental and physical workout. Check out the Buster Cube, IQ Treat Ball, Zogoflex Tux and Kong toys. If you would like further support regarding the best treats for your puppy, our experienced veterinarians in Jefferson, OH would be happy to offer their advice. Please contact our vet office in Jeffereson at 440-709-8100 for more information. If you are looking for healthy and safe treats to reward your puppy, read through our blog to find our recommendations. Know more about heartworm prevention and its advantages. For more information, contact us at 440-709-8100. Learn more about some guidelines and tips on what to do if your pet is missing. Contact 440-709-8100 today! Know the things to know about how your dog can enjoy your pool safely this summer. Call 440-709-8100 to know more. Know the benefits of pet wellness plans. Call Country Doctor Veterinary Clinic at 440-709-8100 for further details. Learn more about crate training and how it can be effective to your dog. For more information, call 440-709-8100. Learn about some tips and guidelines on how to potty train your furry friend. Call Country Doctor Veterinary Clinic at 440-709-8100 for more information. Learn about the possible causes of bad breath from your furry friend. 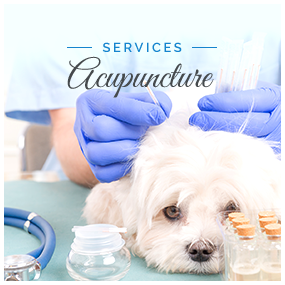 For inquiries or concerns, call us at 440-709-8100 and schedule an appointment. Read about the importance of dental care in the life of your furbaby. Contact us at 440-709-8100 to learn more.